Last week was an incredibly busy and rewarding week for Trem and I. I do a lot of joking that 'I can't believe I came home from Mexico for this!' in terms of the cold and the snow we have, but in terms of presenting our story it was amazing! 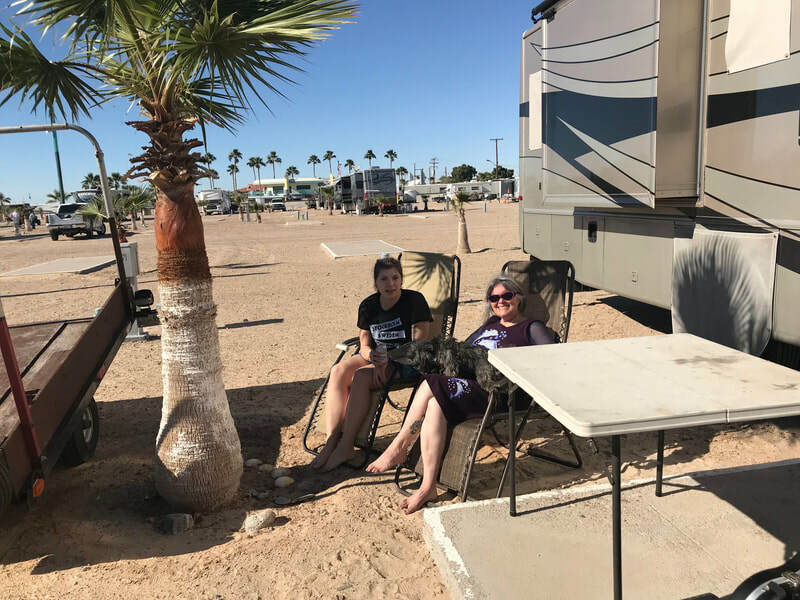 ​I had been quite relaxed enjoying our break from the winter weather when I received a couple of emails in early January. 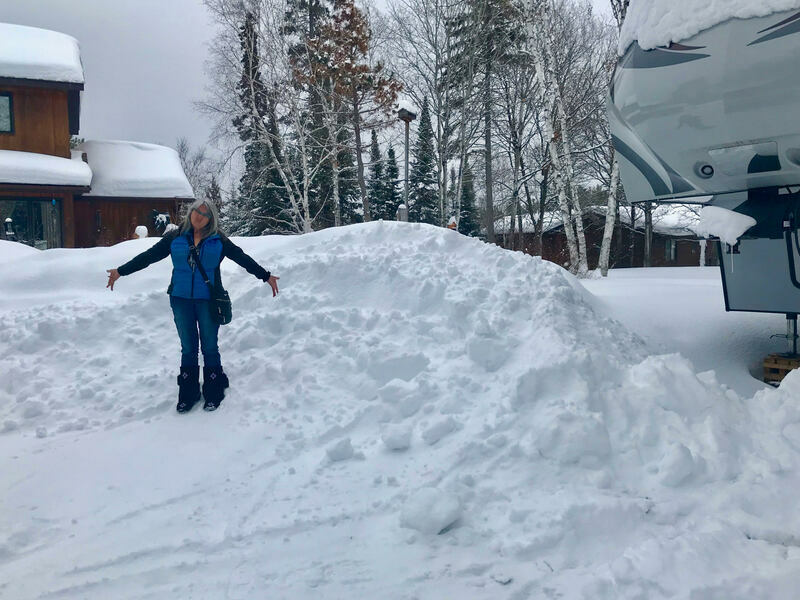 One was from the ED of Innovative Life Options, Patti Chiappetta, wondering if I might be home by March 1 for the 3rd annual Family Conference that they were hosting in Winnipeg. The other came from the librarian at Austin Elementary School, wondering if I'd be around for 'I love to Read' month. I decided that both were worth returning to the frozen north for, because my heart and my passion still are very aligned with 'Just my Friend' and the work we need to continue to do for people who experience disabilities. So home we came! ​I worked for LIFE for over 13 years, and the Family Conference was a result of a project I'd been part of starting in 2013. One of our favorite local 'disability gurus', Bob Jones, had approached LIFE about doing something that was more innovative, and the result was what we'd called 'Kitchen Table Conversations'. They were small gatherings of three or four family members in various corners of the province of Manitoba to talk about where things were at for their loved ones, what was going well, what could be built upon...what were the dreams. It was incredible, heart touching work that touched me deeply. The project resulted in a couple of things. One was the book ‘Family Matters’ that I wrote in collaboration with LIFE and the ICOF (In the Company of Friends) families that were willing to share their stories. The other spin off was the Family Gathering Conference, now in it’s third year. I made myself available to sit in on most of the conference happenings, all of which were great. 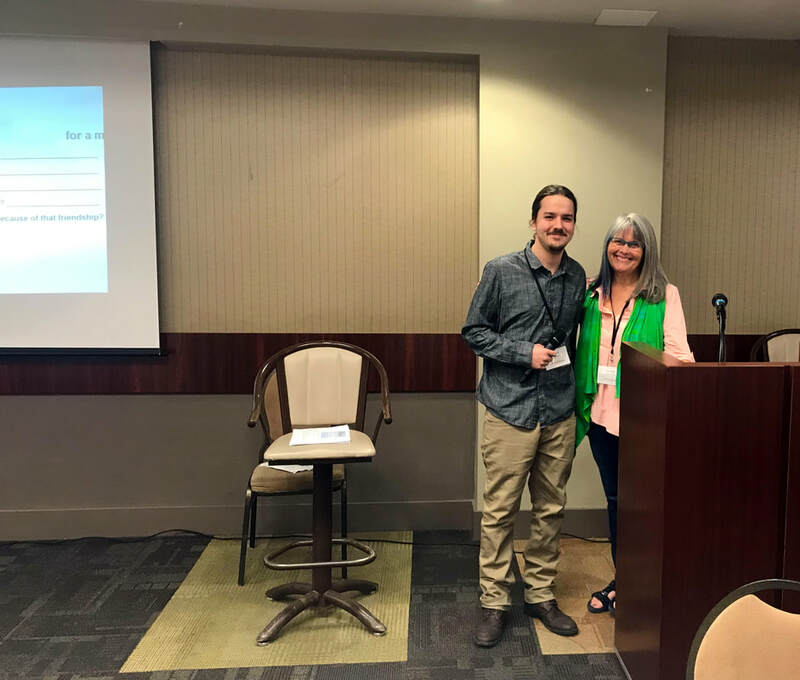 Trem and I were lucky enough to get a morning session to talk about our experience in connection and relationship development, which was an awesome experience and well received by attendees. What I was most excited about over the course of the event was to learn about FAN, which is the Family Advocacy Network of Manitoba. 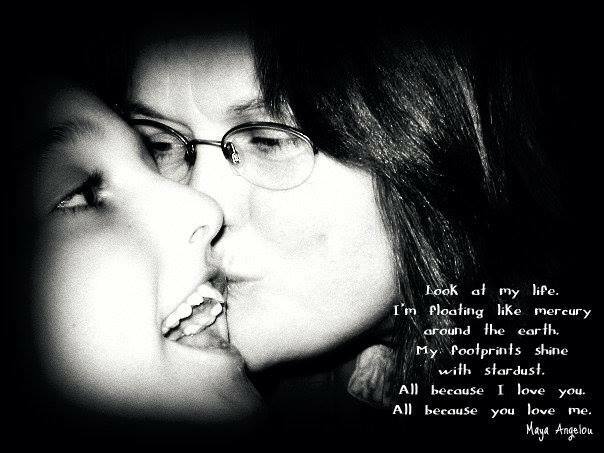 FAN is a grassroots collaboration of families for families of people who live with various disabilities. It has been created with the understanding that it’s other families who best know the needs and experiences of others in the province, with the goal of easing and supporting each other’s journeys. They are a group of individuals who recognize that change best happens when we work together and share our voices to promote the change and opportunities that our loved ones with disabilities deserve and require to have the best life possible. I’m excited to see the passion behind this fairly new initiative, and look forward to supporting it’s growth in the province in the years ahead. Having sat in on their presentation, I asked if they’d be kind enough to share their story with me, so that I could share it with you…and of course they were. So, below is the history and opportunities that are available now because of the newly formed Family Advocacy Network of Manitoba. Please take a few minutes to learn more, because if you have a family member with a disability, or if you know of another family as with everything else, there is strength in numbers. It is the love of family that has created some of the most incredible changes in so many aspects of history, and it is the love of family that will keep moving the world of disabilities forward into a more supported, accepted and celebrated place. I love the use of the world ‘navigators’ because as Rumi said, “we are all just walking each other home”. If what you or I have learned with ease the journey of another towards having a better life experience, then lets band together and use those skills as best we can. ​As parents of children with a disability we have commonalities…...the advocating never ends… as there is always a new stage in life and another hurdle to cross. There is advocating for therapies, with medical professionals, with the school system, transitioning from high school, supported employment, supported housing, respite… . And a humongous commonality is that we advocate as lone rangers… us against the world… issue after issue…. And with authorities that don’t seem to get it. We fumble our way through and often only learn about resources during connections with each other. There is no manual for us and we often speak of how helpful it would be if we had a navigator to help us see our way…. A real person to guide us. We hear comments about needing a place where families can connect to provide support, knowledge and share experiences with each other. A place where families can be heard, to be present and to be influential with the “powers that be” with decisions that are being made for the care and quality of life for our loved ones with a disability….. It is as a result of our experiences and journey in our world of supporting children with disabilities that the Family Advocacy of MB has come to be. Rather than feeling like lonely islands in the sea we want to band together to become one big island. We believe there is strength in numbers. Over the years the need for a family advocacy network was a desire. 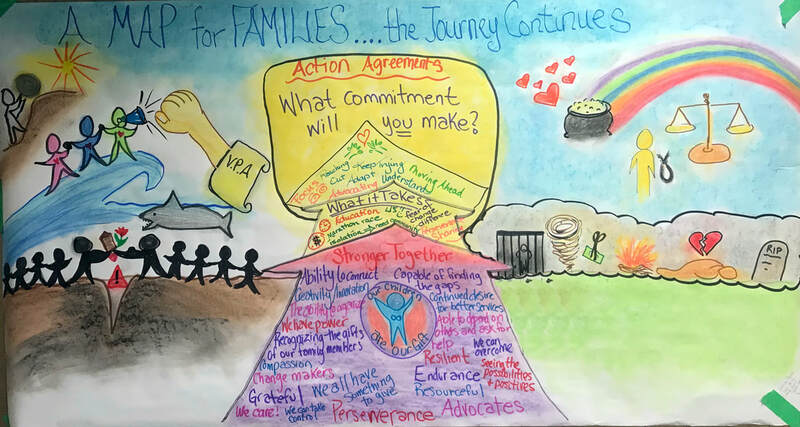 Through the Inclusion Winnipeg Advocacy Committee meetings this passion grew and in the fall of 2017 we began taking steps for creating a Family Advocacy Network. Around this period of time there was also an interest with several other organizations on Family Engagement where we were able to share our desire for a network and collected names of other parents that were interested in participating. 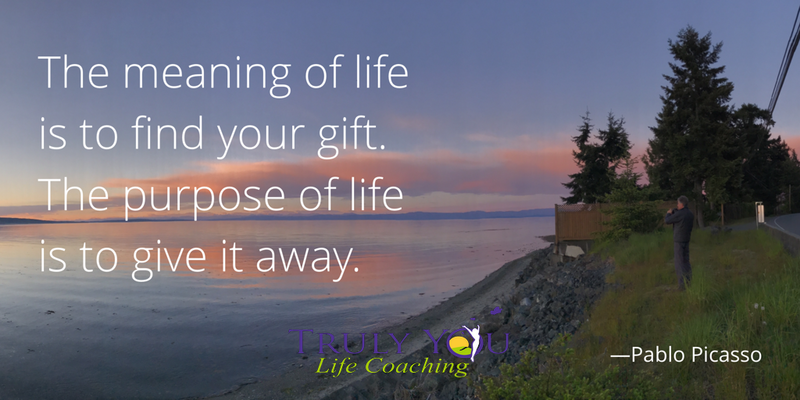 What roadblocks have there been for you? What is the most concerning thing about the future? Just as the butterfly we are evolving and transforming. In the Fall … the cocoon stage. By spring we grew our legs…and in Mid May we gained our wings. We chose our name… Family Advocacy Network of MB or (F.A.N) for short. We have 181 registered members. We want to grow and are ready to spread the word more widely throughout the city and the province. We are asking each and every one of you for your continued participation whether it be through sharing your concerns via emails/letters or by getting involved in an action group. We have our wings but our destination is far reaching. We need you to become involved and to spread the word as we have many destinations that we want to visit along our way to our final destination which is ….. a system that will allow us parents peace of mind. A system where people with disabilities are being adequately supported by the system while being surrounded by a network of caring friends and family and they can feel empowered to live good lives as part of the community. In June 2018… FAN held a PATH where two facilitators drew out the group’s ideas on: Possible Future Dreams/Goals and the steps to be undertaken to move the dream forward. We are creating several short videos. The focus is to create a series of videos that tell the story of families of people with disabilities living in MB and to promote the Family Advocacy Network. I am pleased to inform you that the first video in the series is ready and will be shown today. A place where a person can reach out to, whether it be for information, someone to be by their side as a support when they are dealing with a difficult situation, or to offer a helping hand for navigating the system and locating necessary resources. Just my Friend, book 1, available now on Amazon. January 18, 2019…Shane’s 27th birthday, and even though he isn’t physically here to spend it with me, as with every other day, he’s not very far away from my heart. That’s one of the many beautiful things about love…it doesn’t die when the body does. It’s so much bigger than that. I thought today would be a good day to share about my latest project, well our latest project really! As most of you know, Shane’s best friend Trem and I have been working together for several years now to share the story of their friendship. I shouldn’t say it’s working really. It’s more like be getting hang out and spend wonderful time with my kids best friend…or my ‘other son’ as we so often refer to him. In all the years since Shane has passed (it’ll be 10 this March, believe it or not! ), we’ve talked about the importance of sharing that story and encouraging others to connect with someone that might live life a little bit differently. It’s been an amazing project as we continue this journey of sharing and healing together. One thing we always talked about doing was to one day write a book about their friendship and experiences. Lots of thoughts and ideas on it…but when it came down to the actual doing, we shifted our direction just a little, and decided to focus on reaching children. With inclusion, acceptance, fighting bullying or racism…. we believe that our greatest hope lies in our young people. To have the opportunity to plant seeds of possibility in young minds has been the catalyst for so much change in the world in the past. I believe that that’s the answer for making change in the future as well. So, with that, just before Christmas, we completed the first of what we intend to be a series of books that will talk about their life together and the development of their incredible friendship. We hope that by sharing a few of their experiences, we will be able to do what we do in our presentations, and offer a few little ideas about how things might work for others. No two friendships are ever the same, but who knows, like we said…we’re just planting seeds! 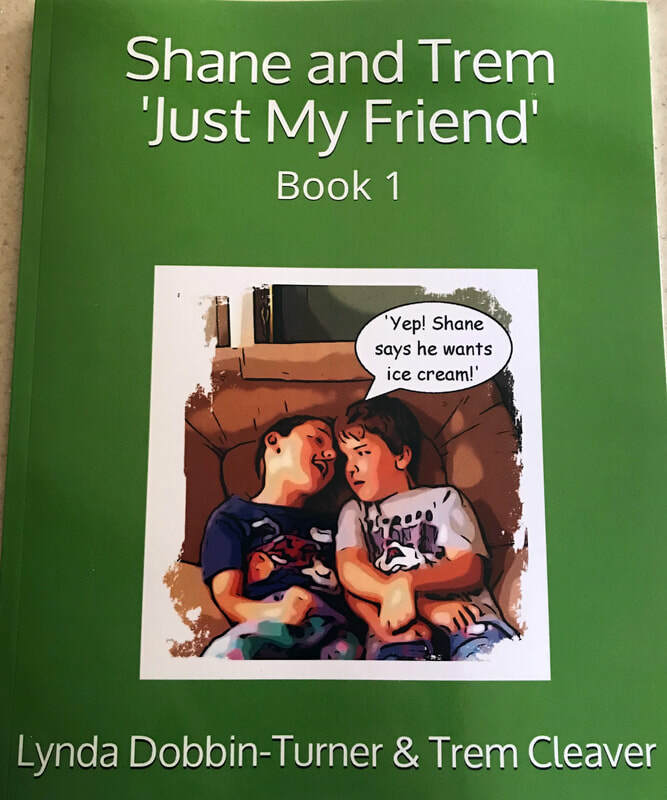 Shane and Trem ‘Just my Friend’ book 1, starts with when the boys met each other at age 4, and continues through age 9 when Trem received a Young Humanitarian award for all he did with and for Shane. 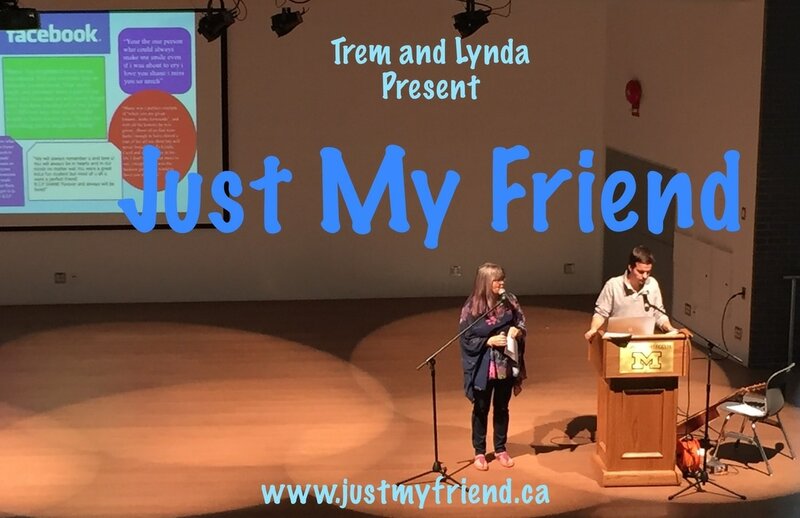 As Trem said then, as we’ve named our presentation… “I don’t get it, he’s just my friend.” Those were the sweetest words this Mom had ever heard, and they continue to bring joy to my heart all these many years later. In the months ahead, we’ll be looking for more opportunities to present and share our story, and to promote the books. With my recent move back to Kenora from the west coast, I’m excited to once again be closer to Trem, so that we can continue to do the work of the heart together as long as he’s willing to do it with me. Don’t ever kid yourself, I know how lucky I am to have ‘my other son’ sharing this road with me. Just one more of the thousands of gifts Shane brought into my life, and continues to offer as we grow forward without him. To order Just my Friend, or any of my other books, please click link below. 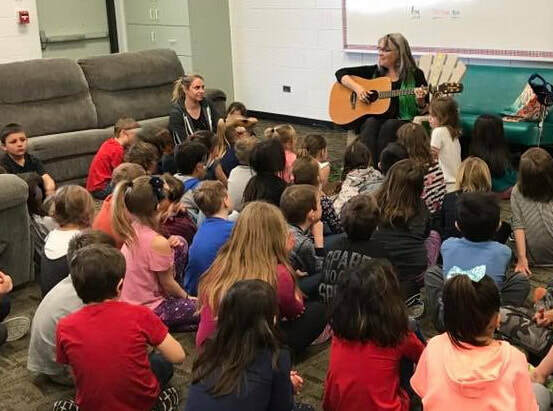 One of my favorite mornings was spent at Long Plain School, sharing Shane’s stories with children learning in a place where my Mom was the kindergarten teacher for over 30 years. It was so cool to see how many people who are still their either remembered her, or were taught by her at one point in their lives. An extra bonus that day was getting the chance to speak with Travis Roberts, the morning show host on Country 93.1 in Portage la Prairie. It was really interesting to hear what was required to do the work that he does, as well as to see the interest that was inspired in the children, with the biggest message being to get your education, and you can achieve anything you set your mind to. To listen to the interviews, click here! 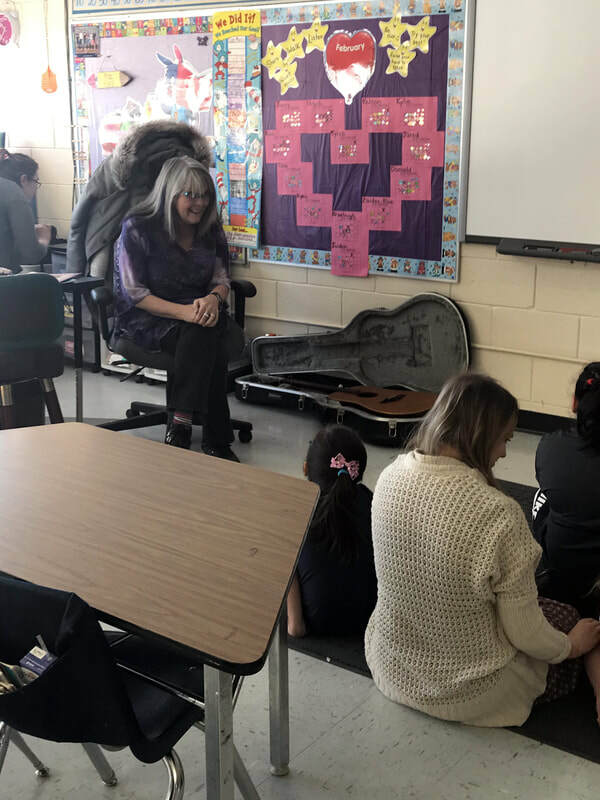 ​Over the course of the week that I was back in Manitoba, I read to 8 different schools. I can’t estimate how many children, because some schools had me read to each class separately, while others congregated the kids together. 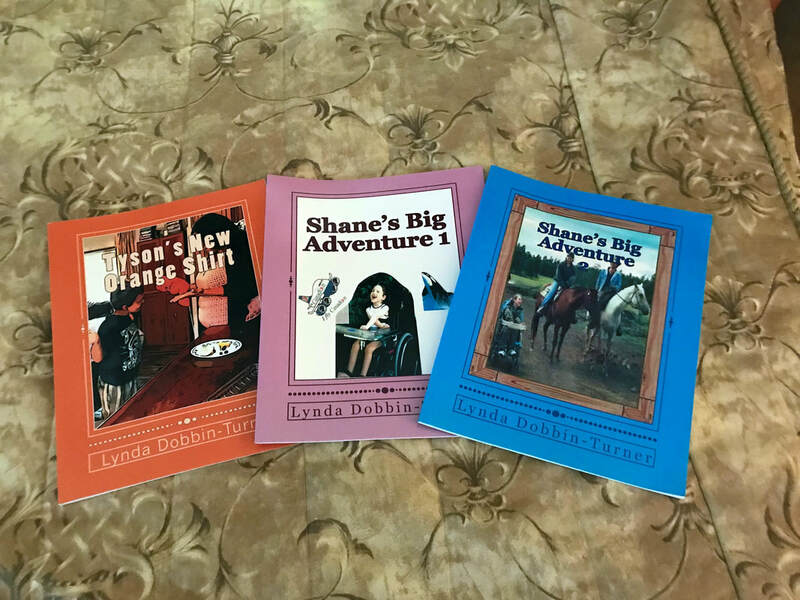 Each session started with sharing a little bit about Cerebral Palsy, and bit about Shane’s life, the reading of his first adventure, then his second, followed up with my singing his “When you Look at Me”song. There was always lots of time left for questions. The age groups ranged from kindergarten through to Grade 8. The questions varied just as much, with many veering off in unexpected directions discussing and sharing grief and loss. And that was okay, because I believe that conversations unfolded as they needed to for the children that were there with me in the room at that moment. 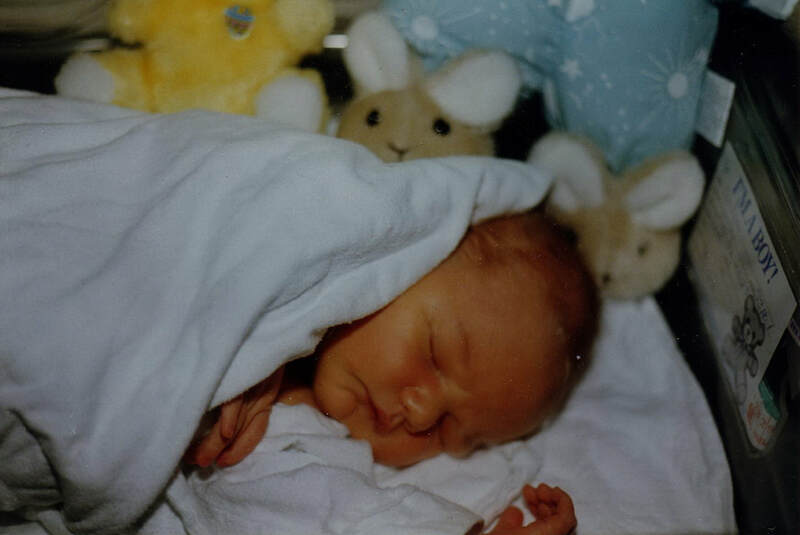 Newborn baby Shane, before we knew what lay ahead of us. ​The call came in yesterday, from an acquaintance back in Manitoba that I’ve known for many, many years. He’s not necessarily someone that I’ve had the opportunity to know well, but even though our cultures and lifestyles varied substantially, he’s still someone I’ve always had a good relationship with. The call was on my husband’s phone, but it soon became apparent that I was the person he was needing to talk to, the one that could provide the answers to the many questions that had arisen for him. In conversations of years ago, Cecil had approached him about the possibility of fabricating a travel buggy for Shane similar to one that we’d seen on our travels to Tofino, BC for Shane’s Sunshine Dream in 2004. Although nothing came from the conversation in terms of the buggy, it did let this gentleman know, for the first time, that we had a son living with special needs. Now, all these many years later, he remembered that when his own grandson was born and given a label at birth. 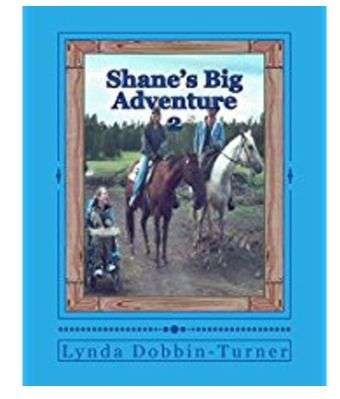 The family suddenly found themselves new-comers in the world we’d navigated all those years for Shane, and he wondered if he could ask some questions. We chatted on the phone for about an hour. I told him some of the many, many things I’d learned in living in the system that supported children with disabilities to live life. I heard myself passionately sharing some of the opportunities that are available now, the social media changes that have allowed families more access to others who are experiencing the same, the things that our children will teach us. I shared some of things we never realized we needed to learn until they came into our lives. We talked about some of the fears, the grief and the new learning that will have to take place now that they’ve been advised they are going to be taking the road less travelled. I hope at the end of our talk he was able to feel a little more hopeful and optimistic about the years ahead. There will be struggles and challenges, but there will also be so much joy given by this precious new life that has been given to them. ​I ended our conversation with a promise to send him a couple of the books that I’ve written, and heard myself quoting Rumi, saying ‘we are all really just walking each other home’, telling him of my own belief that when we’ve been given the wisdom and knowledge that only life experience can offer us, we have it within our power to ease the journey of so many others if we just share what we’ve learned. Last night, just as I was drifting off to sleep, I recalled that conversation. Once again, that age old question ‘What is my real purpose here’ rose up in my head, as I know it does for so many of you as well. Only this time, the answer became so clear to me. It rested in the words I had said on the phone. It’s in almost everything that I’ve worked towards in the years since Shane died, and that has been and continues to be share his story. Share his message. Share his teachings. Share the light of his incredible spirit. I thought about all that I have undertaken and done. The songs, the books, the presentations are all a part of that. I realized however that those just touch the tip of an iceberg that runs so deep below the surface. I realized that within me is a lifetime of all little, unshared pearls of information. Things that worked, things that really didn’t but were stepping stones that led to something else that did. Stories of our journey that might offer hope and inspiration to someone else, just when they really need it. As I lost consciousness and fell asleep, my last thoughts were that it’s time to start more earnestly and intentionally than I have thus far. If not now, when? The ground work has been laid. Now the next stage begins, and I’m so glad that you’ve chosen to join me here. In the weeks and months ahead, I will continue to share those things, to build this website further so that it will offer links and ideas to others. My greatest hope, is that as I embark on this mission, that you’ll join me with your own input and learnings! The world about us is changing hourly. New things are offered, new ideas are brought to reality, and new children are born that need what we’ve learned and continue to learn to be able to thrive in our world. I know by the speed that my fingers type as I write this down, that I’m onto something very important to what part of my legacy is going to be. When we lose ourselves in the moment of what you’re doing, that’s when we know we’re getting closer to answering that age-old question, ‘why am I here’. I am here for you, just as you’re here for me, because the truth is we really are all just walking each other home. Together, let’s make that journey incredible! A couple of years ago, while I still lived in Manitoba and was still the Senior Coordinator for Innovative Life Options (LIFE Inc), I was involved in what we lovingly called the ‘Kitchen Table Talks’. The project was created to bring families who had a child living with a disability and who were not yet being provided services in the adult world together for open, engaging conversation. Our hope was that we could garner some wisdom from these families as to how things were working, what they were most proud of, what would be most helpful and what ideas they had for their son or daughter’s future. It's been a while! A lot has happened...a lot! A move across the county. The purging and sorting of a life lived on the prairies. Pulling up our roots in Manitoba, replanting them in British Columbia. What a ride it has been! The journey has always allowed for the things that are important...but sometimes those important things have been put on the back burner while other things took centre stage. Telling our story has been one of those things I'm afraid. The time has come though to begin saying yes to the opportunities as they arise, and that's just what Trem and I are doing. It's more challenging now, being so many miles apart. But what we've both agreed is that the story and the message that 'Just My Friend' shares is part of our live's missions. Even when it's challenging and might not always make sense, in my heart it's important to say yes to what matters most. This is one of those things. Along with sharing our own story through our presentation, I am so excited that I'm also now able to share the stories of other parents who have walked a similar path to mine! In the last months I have had the great honour of writing the book 'Family Matters' in collaboration with 'In the Company of Friends' parents and 'Innovative Life Options'. That project of the heart is now in printed form, and the hope of all of us that were part of this is that the sharing of our stories will ease the journey of other, newer parents who walk this path alongside us. The book includes a chapter about Shane that I hope will inspire, just as all the other wonderful people highlighted in the other chapters continue to do in sharing their own, unique journeys! If that wasn't exciting enough, I've also assumed a new role of guiding and supporting new authors to self-publish their works, and one of the first books is called 'I am Just Like You' by Lesley Feldman. It is a children's book that is aimed at reaching youngsters, helping them to accept and appreciate diversity. We may all do things a little differently, but under the surface we are all more alike than different. All because I love you. All because you love me. Look at my life. I'm floating like mercury around the earth. My footprints shine with stardust. We're here again....January 18...your birthday...my forever changed day...and for all that has changed, there is one thing that hasn't. I still miss you and spend this day with you so close in my heart that I can feel you here beside me. I've been wandering around the house, knowing that I should sit down and actually attempt to accomplish something, but accept maybe this will be my accomplishment today. Then I ask myself...do I really need to do more, than to spend this day remembering and honouring? I remember listening to Nate on Oprah a few years ago. Talking about his partner who died in the tsunami years ago. His advice to a grieving Mother on that show was not to let dates, like birthdays, control your emotions or define you..but I've always wondered how he thought we Mothers, who have lost our children, could actually do that? Because a child's birthdate is also the date that we, as the Mom, changed forever...from who we were into 'Mom'...and that change is something that can never be forgotten, nor do I believe it should be. We all celebrate our life's milestones...anniversaries, accomplishments, recoveries...and with that, I'll continue to celebrate you, and who I became because of you, on this date. If I were to begin to forget that...I believe I'd begin to forget who I am..."All because I love you. All because you love me." I don't want that to ever happen, that will mean life has ended. I'm trying to imagine you at 24 today. I spend time with Trem, and try to picture you at that age. I can't. I begin to wonder what life would be like today if you were still here. Would any of the plans I was so carefully working on have happened? Would you be out in the world on your own, living independently with a friend? Or would I have chickened out, as I suspect I might have, and still be keeping you here with me...close and safe? Things we'll never really know, but things I have to ask myself over and over, when I am talking to other parents who are challenged and afraid to 'let go' or 'hold on differently' to their own children. Could I really have released you into the world so easily? Maybe you knew the answer, and chose to release yourself into more in a different way. I wonder about that sometimes. I remember reading the book 'The Shack' by William P. Young a few years ago. There's a place in that book that has stuck with me always, where the daughter who had passed visits her siblings at night through dreams, to play and connect. I like that idea, because if it is so, I know there isn't a week goes by where you don't come to visit me. Sometimes you come as the baby you were. Sometimes as a young man who is able-bodied and free, as my heart believes you now are. Sometimes in the body we both knew so well, with all of its challenges and struggles. In some dreams you are there just to give the love and hugs that you were so very, very good at giving, and I am allowed to just wrap my arms around you and hold on tight. To smell your hair and feel your warmth. I love those dreams. In others....I think you purposefully come to remind me that as much as I miss you every day, life was not easy for either of us. Life was good, life was full, but life was not easy. I believe you work hard to remind me of that on the days when I wish you back here with me. Just as you taught me a million lessons that I needed to learn in your life...you continue to be my teacher in your passing. "All because I love you. All because you love me." I think in some of those dreams you also come to remind me that the work isn't done. That the lessons we learned together are not to be forgotten, or neglected, because there are still others that can be supported on their own journey by what we learned together. When I get lazy..or maybe just lost..you slip back in at night, with reminders of those whose lives I could still affect, then slip away again. It is kind of like....I can run, but I cannot hide...from that element of my purpose. You won't let me. So, now I'd better go and start the day. A day, so different in so many ways from the ones we shared, but in other ways, I am still guided by you and your life..to do, to share, to make change where I can. Though many of my hours are spent with a different focus, there is still the underlying thread of your life that says 'keep reaching out, keep advocating, keep telling the stories that will move the world forward' into a better place for people of all abilities. You did that. You unleashed that passion in me, and in Trem, and in Bianca and Cecil...and others that I likely don't even know of. Because of you, there are lives that are being made better every single day, by one small act of kindness or support or another. we are so lucky to have this opportunity to share the things we are doing, and the many things we are learning as we continue to work towards inclusion in all areas of the world we live in ! We appreciate having this opportunity to share our experiences here, as we all grow together!